It’s surely got to be better than last time we played Rangers...? Yeah you'd think so. That game was over after 20 minutes and we pretty-much coasted rather than, as I saw on another forum, going for the juggler. Did you ever pay the juggler? Should of won or at least drew with them at Tynie earlier in the season, no Morelos to score an offside winning goal this time. Location : The outskirts of Doldrumshire. Really surprised to see Souttar linked with Rangers on twitter, the week leading up to us playing Rangers. Really. Surprised. You're all right. The one we're linked with is, "Hearts superstar Souttar". I hadn't realised you had two. I don't think it had anything to do with unsettling Hearts as Rangers don't really have anything to play for. The leagues gone. But consider this, last weekend when the Record published their "exclusive", Rangers didn't have a game so sales/article clicks would be vastly reduced for the Record. That's my opinion of it. Before the last time we played them, it was Uche. This time it’s Souttar. Tiresome pish. Why would he want to leave a club that reaches cup finals to a team that have never won a major honour. Pish. Benchwarmers at best. Don’t see the point in signing either to be honest. Why would he want to leave a club that reaches cup finals with a manager that has never won a major honour?. Season ticket sales needing a wee boost perhaps? I was going to add that as an alternative theory but with the greatest of respect I don't think the potential signing of Souttar would do much to sell season tickets. If Rangers were going to plant some fake news in the press they'd surely have mentioned a player playing at a higher level. 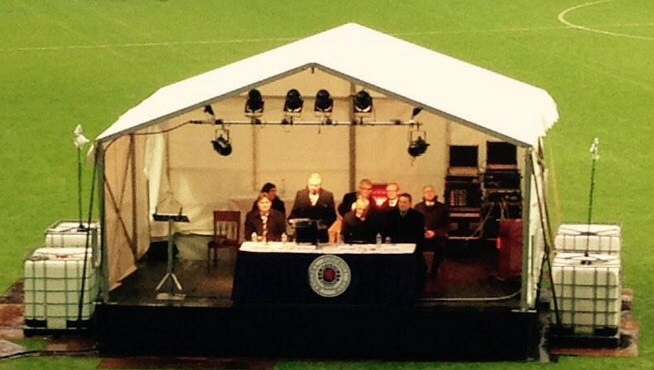 A marquee signing, so to speak.